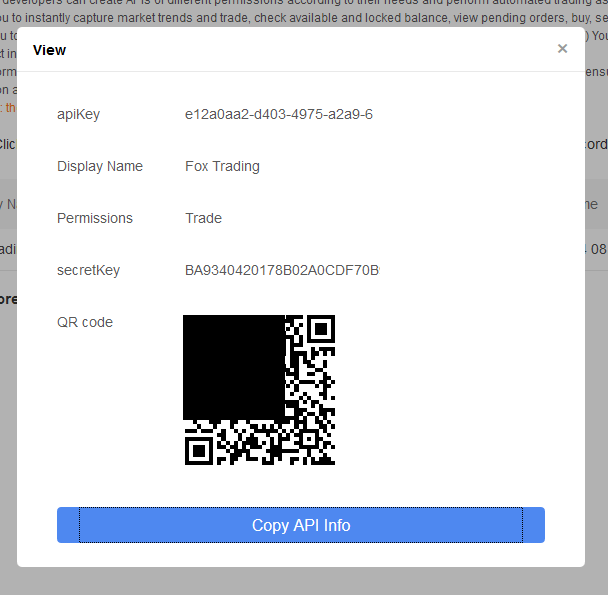 OKEx - How to create API key? 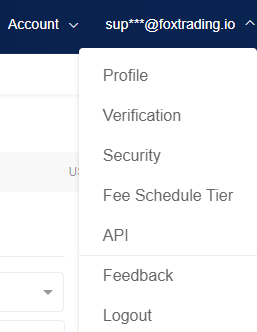 2 - Select API from the drop-down menu in the upper right. 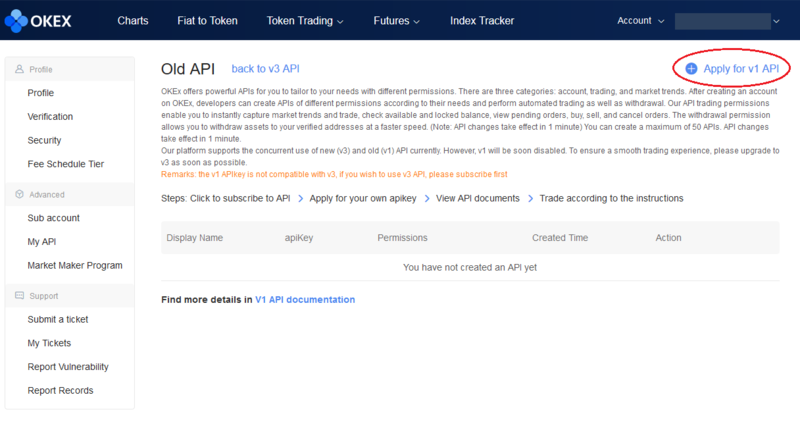 4 - Now, click on Apply for v1 API. 5 - A new window will open, enter a name, click on Trade. Do not click on Withdraw you are the only one who should be able to withdraw your funds. Finally, enter the Google code, and Confirm. 6 - API is created. 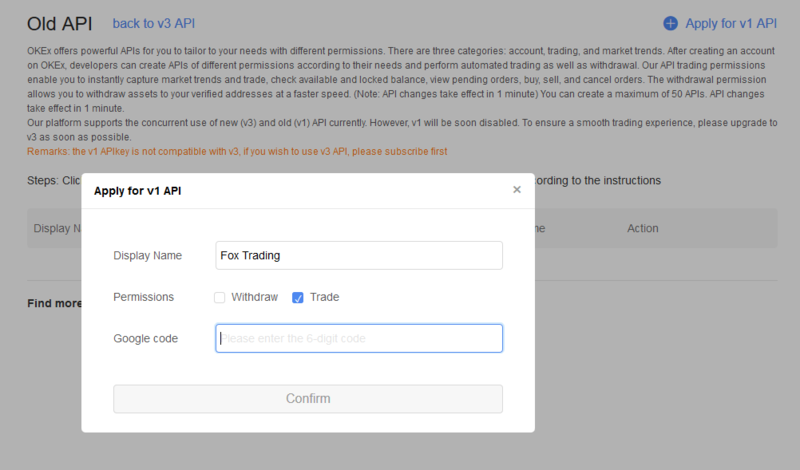 7 - Click on View to see the API keys. Keep them in a safe place.